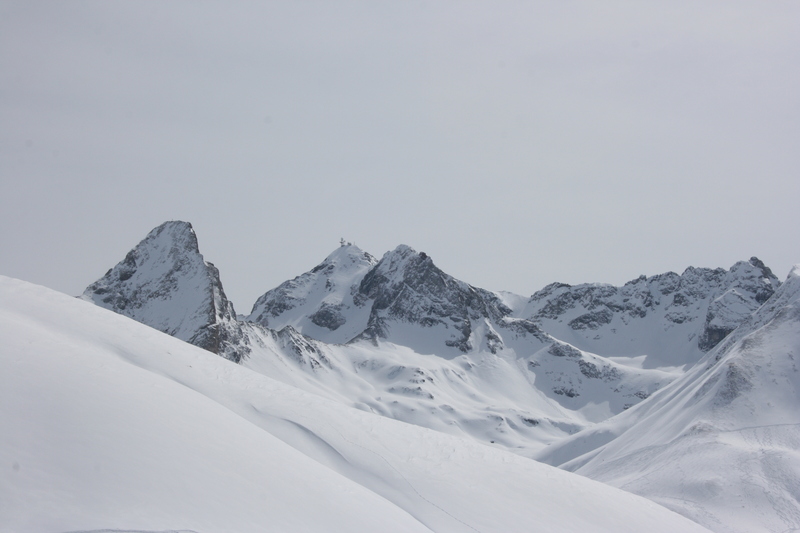 mid-March in Lech | ride. travel. live. I didn’t bring my equipment, as I planned on staying in Frankfurt, but upon reading the forecast, I bought a train ticket, sucked up the steep prices in Lech, and took a 9.5 hour trip down to the Arlberg. My rental setup was on this year’s equipment, with a colorful and well-maintained Burton Custom 158, and a smelly pair of Ozone boots. The boots were not really suited for my riding style, though, they were comfortable, but too soft and didn’t really agree with my feet. The bindings, Burton Missions, were the toe-cap type, which I’ve never used before, and they were just okay. Somehow a lot of snow piled up around the toe area, at least more so than my normal bindings. The board, though, was great, the right length and flex compared to my current 161 tank. I met up with my buddy Michael, who made it up from Feldkirch to ride a couple hours Monday afternoon with me, and then had to leave to go to Innsbruck. Too bad it was so short, but hopefully next year! I caught what is probably going to be the last big snowfall of the season. 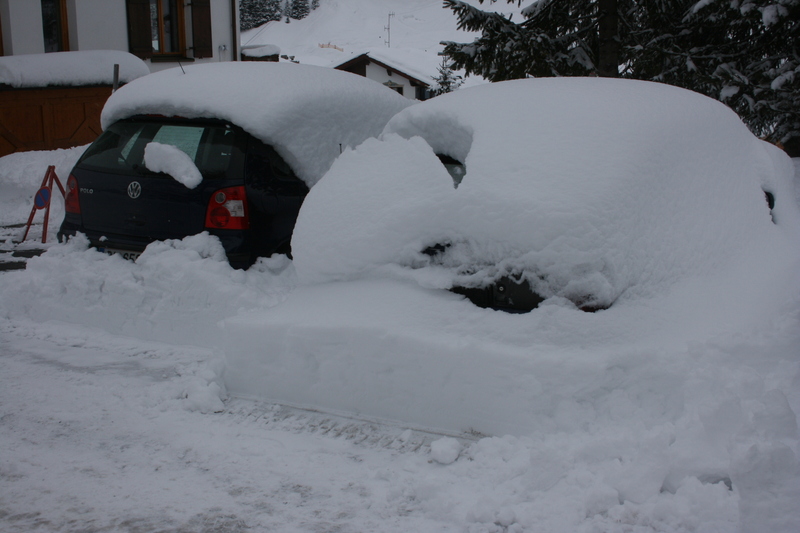 After snowing around 15 – 20 cm the first day, It dumped nearly 60 cm overnight Monday into Tuesday, mostly starting around 5 AM, and by the time I was up on the slopes, it was deep and mostly untracked. A German lady I rode up with summed it up nicely, as she simply looked at me and said, ” WOW”, which translates in any language. So began a day of above the knee powder, where you feel the snow gently pushing against your clothing, and get the occasional elusive face shot. 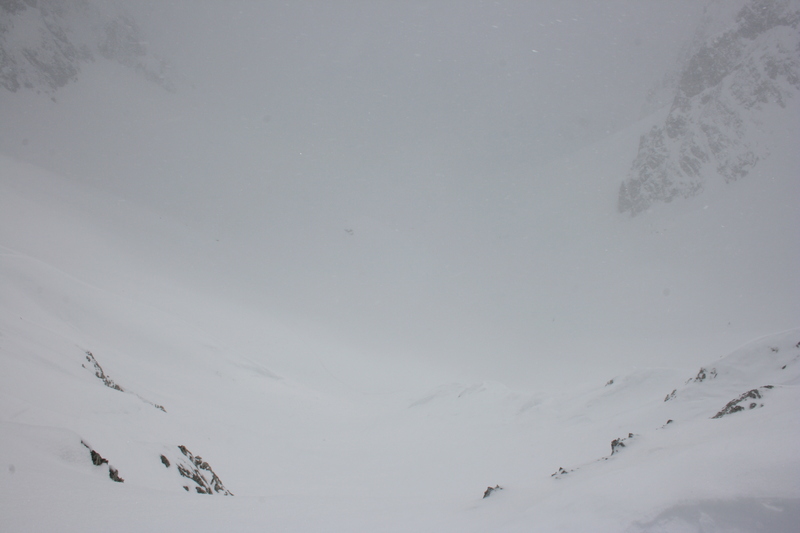 The visibility, as expected for a place above treeline, was quite bad. The sun came out the next day, which made for more powder runs, and it stayed good until the early afternoon, when the rapidly rising temperatures turned things into mashed potatoes. But I also took a few of the off-piste runs, but still had to stay cautious given that I was riding alone and it’s all too easy to lose your way around here or otherwise end up in trouble. This place is sweet on a day like this, but it’s better to ride with a buddy, or better yet, a local who knows his way around. 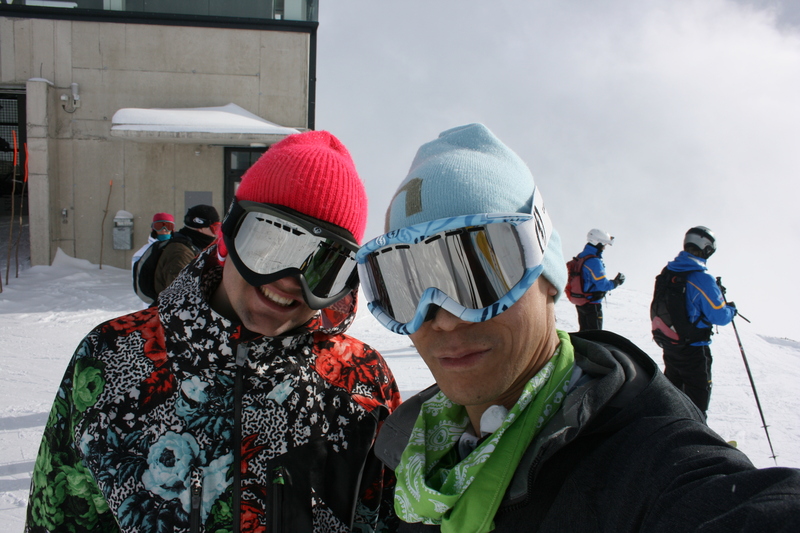 The downsides to the place: there are several areas of traverses that are difficult on a snowboard. Somehow, even when I point it, I still can’t manage enough speed, so inevitably I end up walking. 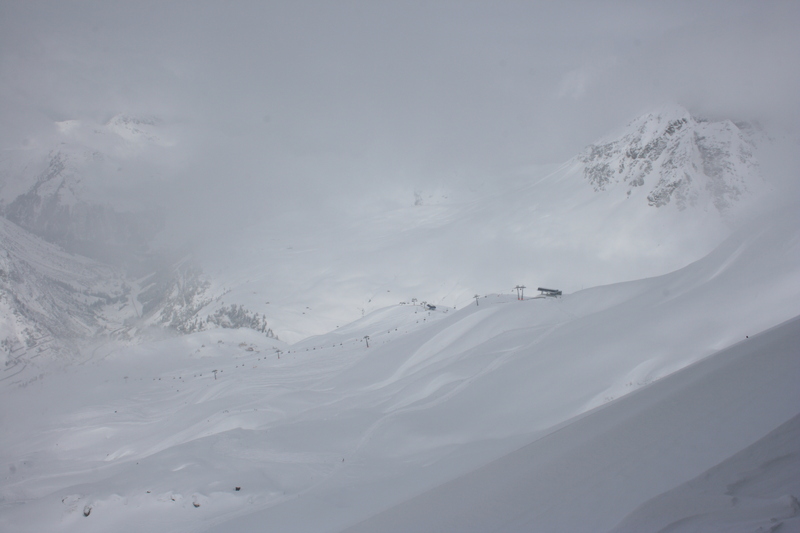 And as I pointed out, the powder days are amazing, but the visibility can be terrible. 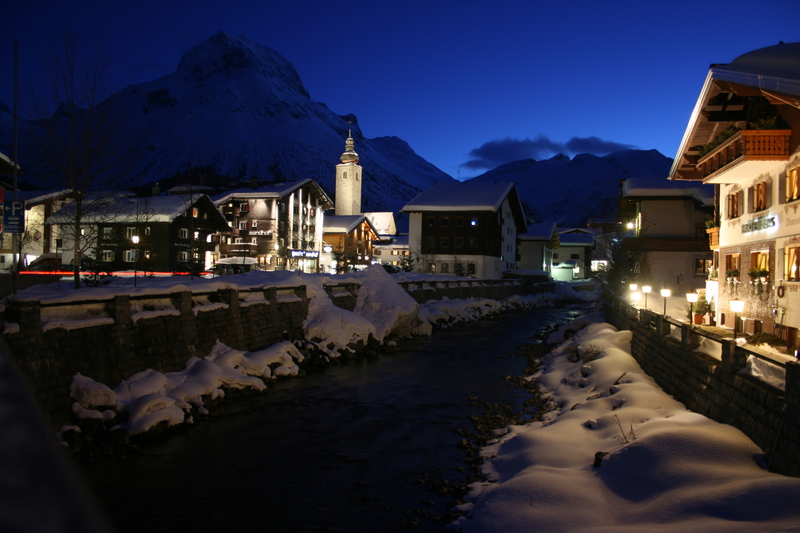 And as for the town, it exudes luxury and money, and is probably the most prestigious resort in the Alps, along with St. Moritz. The food and accommodation will break your budget, but it’s an undeniably gorgeous location to blow your cash. I stuck to the less expensive options, i.e. pasta and pizza, stayed in a reasonably priced pension a short walk uphill from the church, in the Anger part of town. And I avoided the whole apres-ski scene, which is a unique, cheesy only-in-Europe experience. One last word about the trip back: late leaving Langen, late leaving Bregenz, late leaving Lindau, broken down train in Stuttgart. Five transfers, blech.